Register now for the Florida Society of Pathologists 44th Annual Anatomic Pathology Conference, taking place on February 16-18, 2018 at Disney's Grand Floridian Resort. View the final agenda online and make plans to attend to hear from our distinguished pathology experts. Presentations will include practical cases and updates in soft tissue pathology, head and neck pathology and GYN pathology given by experts in the field Drs. John Goldblum, Lester D.R. Thompson and Marisa Nucci. Dr. Raouf Nakhleh will read slides on challenging cases in liver and GI pathology. Register now to secure the early bird registration rate! The Florida Society of Pathologists invites the submission of posters for the Resident Digital Poster Competition at the 44th Annual Anatomic Pathology Conference, February 16-18, 2018 at the Disney's Grand Floridian Resort. Residents, fellows, trainees and students who are resident members of the FSP and enrolled in a full time approved training program in pathology or sub-specialty of pathology in the state of Florida are welcome to participate. Posters will be displayed in the digital poster hall during the conference for all attendees to view. More information, including guidelines and instructions will be available soon. Check the website and make sure to follow us on Twitter, Facebook and LinkedIn to stay up to date. The 2017 CAP Board of Governors Election is underway. The election opened on August 8 and will close on September 7. The election will be conducted via electronic ballot. The CAP will send Fellows in good standing an email with instructions. Fellows who do not have an email address on file will receive a letter through mail. Get to know the CAP Board of Governors candidates on the CAP website here, keep an eye out for the electronic ballot and make an educated vote. Election results will be posted on the CAP website by September 13. It's never too early to make your 2018 educational conference plans! Save the date for the two FSP Conferences in 2018. The 44th Annual Anatomic Pathology Conference will be held Feb. 16-18, 2018 at the Grand Floridian Hotel in Orlando, Florida. Registration is available online here and the hotel is accepting reservations. Be sure to mention the FSP room block to receive the discounted room rate of $302/night. Confirmed faculty include John R. Goldblum, MD, Lester D.R. Thompson, MD, Marissa Nucci, MD and Raouf E. Nakhleh, MD. Junior faculty members include Andre Pinto, MD, Juan Carlos Hernandez-Prera, MD and Dianne Torrence, MD. The FSP 2017 Summer Anatomic Pathology Conference was held on July 15-16 in Palm Beach at the Breakers Hotel. Approximately 100 attendees came to learn from the highly regarded FSP faculty members Drs. David Grignon, Esther Oliva, Pablo Bejarano and Shahla Masood. Attendees were also able to hear from junior faculty members Drs. Ashwini Esnakula, Farah Khalil and Oleksandr Kryvenko during the Interactive Microscopy course that featured digitized slides on GYN, lung and prostate pathology. There was also plenty of time to network with over 25 exhibiting companies in the Exhibit Hall during refreshment breaks and a Welcome Reception on Saturday evening. For those that couldn't join us we hope you can plan to attend a future FSP meeting in 2018: the 44th Annual Anatomical Conference will take place on February 16-18 at the Grand Floridian Hotel in Orlando and the 2018 Summer Anatomic Pathology Conference will take place on July 21-22 at the Breakers Hotel in Palm Beach. The FSP Summer Anatomic Pathology Conference will begin next week on Saturday, July 15, in Palm Beach, Florida at the Breakers Hotel. The conference will provide an exceptional opportunity to network with fellow pathologists and expert faculty in the field of anatomic pathology. The registration fee includes access to all educational sessions allowing the opportunity to earn 11 hours of CME and 9 hours of MOC credit, admission to the FSP exhibit hall with over 25 vendors, conference materials including the digital syllabus with course presentations, digitized slides from the Interactive Microscopy Course and a meeting bag to take home. Registration is still open, however it is recommended to register before the conference begins to guarantee materials. We look forward to seeing you in Palm Beach next week! 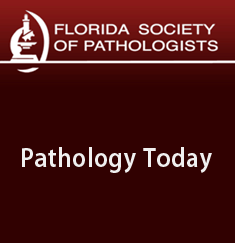 The Florida Society of Pathologists is committed to providing valuable benefits to members through advocacy initiatives, high quality educational programs and career enhancement resources. Tell your colleagues who are not members about the importance of joining the FSP, YOUR state Pathology society. The FSP Summer Anatomic Pathology Conference is only five weeks away. Attend the conference and earn up to 11 hours of CME credit and SAMs credit towards the American Board of Pathology MOC requirement. Learn more about the FSP faculty and educational agenda online and make plans to attend this cutting-edge anatomic pathology event.